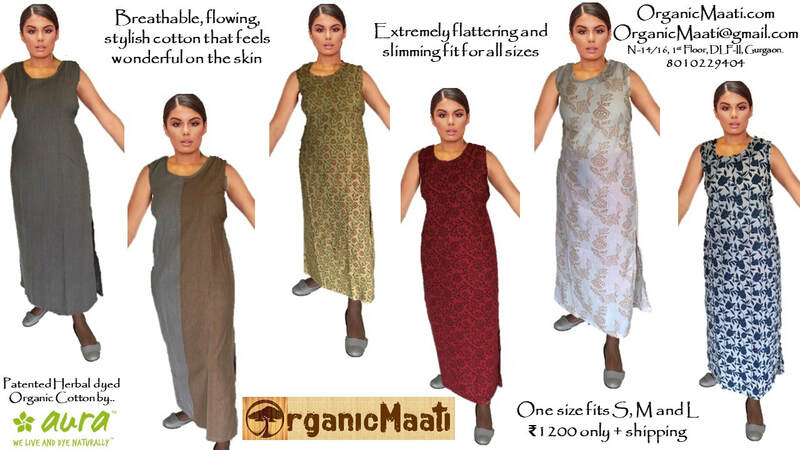 Organic Maati presents a unique range of certified organic clothing for a woman with a conscience, made from patented Herbal dyeing techniques on Organic Cotton, using medicinally rich herbs, plants, flowers, barks that have anti-bacterial, anti-inflammatory and anti-allergic properties. The non usage of chemical dyes means that our rivers, water bodies and land are saved from toxic pollutants that displace communities and lead to disease. Moreover, the herbal dyes yield unique colors and hues that cannot be duplicated through chemical dyes.